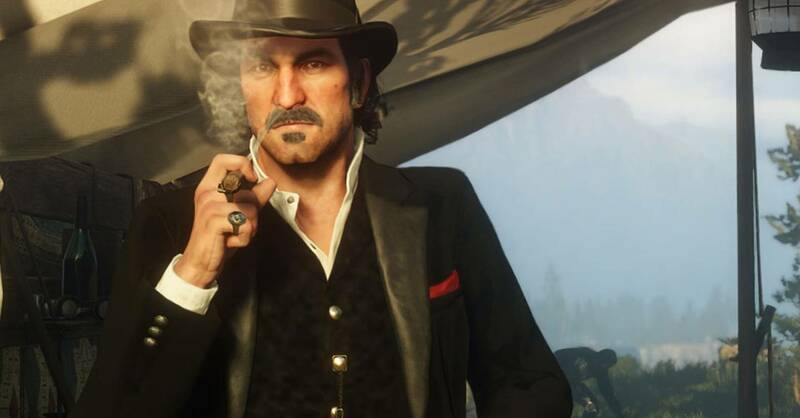 V video game roles often come as rich, complex or charismatic as Dutch Van der Linde – the messianic gang leader and eventual antagonist from last year's Red Dead Redemption 2 . For Benjamin Byron Davis, the actor who provided the motion and voice, they also don't often come as small. Rockstar's production director, Rod Edge, told Davis that he wanted him to start a scene stood at a bar in a saloon. “I had the script the night before and I had this really fun idea, where I wanted to be seated at the table,” Davis explains to me. "Rod asks me why I want to be seated at the table and I say," So when the other guy comes in, I can stand up and really use my size ". And then Rod says, "Oh, [your character is] not as big as you are, and I say," Excuse me? "Davis had never considered that his assets in the real world were not necessarily relevant in the virtual one . 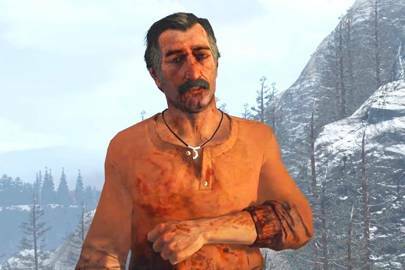 "I am sure that there are more than a few animators at Rockstar who have to translate my size and shape into Dutch's size and shape," says Davis, laughing, "but they did a seamless job." Several scenes required animators to alter eye lines and character stances, so all of the digital characters ended up looking and moving like they were supposed to. The build team, which creates physical sets for the work with during performance capture, went the extra mile, often using a body double, Brent Werzner, who matched Dutch's exact dimensions, to simultaneously act out the same actions side by side with Davis "
Dutch's intense persona has stuck with Davis since the 2010 original, but due to Rockstar's intense secretive approach, he had no idea that a sequel was on the cards until schedule checks came to his agent in the summer of 2013. August came, September went, October passed by, and it wasn't until the end of that year that NDAs were signed and the first 100 or so pages of script arrived with Davis. “Most screenplays are much longer than that,” he says, “and knowing Dutch were lots and lots and lots of pages of monologues. In field like I was in the deep end. I was home in Boston with my family, with these pages that I had to hide, so I'd keep upstairs to memorize the biggest pieces. " He still didn't know, exactly, what the game was going to be – Rockstar are so secret even with its principle players that actors had to piece things together as they went along. As the years unfolded, though, his routine became much more familiar. , TV show or play – but he did at least get bigger bits of script to practice further ahead of time. Some of his favorite sequences occur during the chapter set in the bustling city of Saint Denis, where the gang encounters the Italian mob boss, Angelo Bronte. During the downtime when the Rockstar team was busy developing the game and the actors were back home, Davis kept up with the world of Red Dead by replaying the original game, while also watching similar movies. Davis and his closest cast mates – especially Steve J. Palmer, who plays Bill Williamson and Rob Wiethoff, who plays John Marsto – would also capitalize on time spent traveling to performance gigs together. “We would go to one another's rooms and run lines with one another with the large amount of material that we had to go through,” he says, re-emphasizing how the extreme secrecy surrounding the game meant he could only do this with the game's other actors. Bit by bit, the game came together like a jigsaw puzzle. 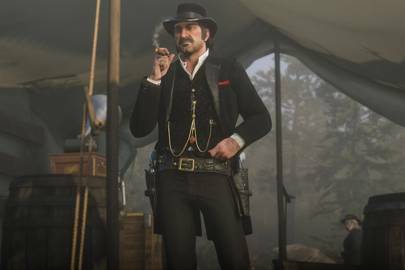 "There are scenes in this game with original performance capture we did in 2014, booth work that we did in 2017, and additional performance capture that we did in 2016," Davis says, "and because of the mad geniuses of Rockstar, these things have this extraordinary immediacy even though they're being pulled from all kinds of different days and weeks and months and years. ”So, would David return to the character again? “You know that actors have to sing for their supper?” He answers, joking that by the time he is 60 years old, he hopes to have done enough prequels that he is playing an 11-year-old Dutch. And then more seriously: "I cannot overstate how important Dutch is to me and how much I value the opportunity to play this guy. The importance of this character – of all of these characters – is not lost on me. Whether I don't return […] I'm going to be very proud of the work we all did for the rest of my life. " Google Stages looks incredible But the death of consoles? That's undeniably sad. Sekiro: Shadows The Twice review: "I screamed in glorious victory – I could, finally, go to sleep. "